Fox's Gotham has long had the reputation of being the unhinged, red-headed stepchild of the televised DC Comics universe, so it's no surprise that the show has hit plenty of plot holes along the way. Where DC's properties on the CW like The Flash, Supergirl, and Legends of Tomorrow are all about trading quips with your buddies, stopping the bad guys, and generally just having a good day, Gotham is locked in a permanent goth phase. One thing Gotham does have in common with the folks over in Star City or Central City is the occasionally fast-and-loose plotting of its writers. No television series works like clockwork, and even the greatest shows of all time have occasional dead ends in their plotting, or bad story decisions that need to be undone. But Gotham is another animal entirely, so much so that it's been known to maintain parts of its fanbase just by virtue of its willingness to zig-zag its story with truly reckless abandon. This approach has left the series with more than its fair share of head-scratching plot holes, all of which are tricky to make sense of, no matter how you slice them. 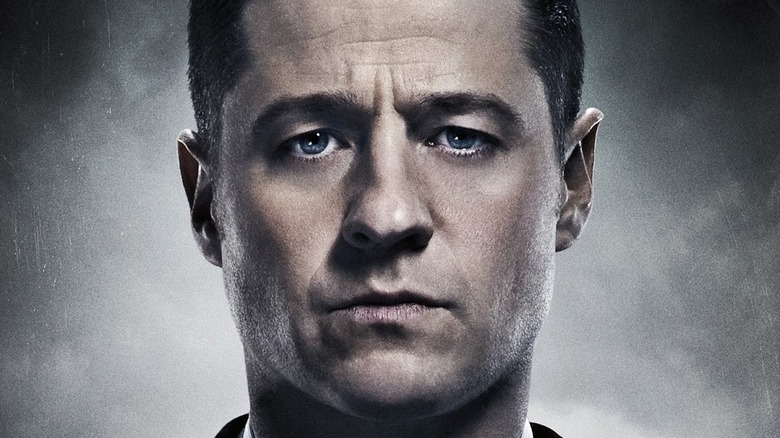 Read along and we'll fill you in on just a few of the biggest plot holes in Gotham. Because the audience knows that Bruce Wayne doesn't don the cape and cowl until he becomes a grown man, the billionaire heir has always fit somewhat uncomfortably into the world of Gotham. But nothing was more uncomfortable than the sudden appearance — and disappearance — of Bruce's mysterious clone, 514A. Not-Bruce Wayne arrived on Gotham in the finale of the show's second season, sporting scraggly hair as the spitting image of Gotham's wealthiest orphan. While his intentions during this cliffhanger appearance were completely unknown, it looked like the audience was being set up for a season-long arc of a classic doppelgänger story — a way to explore themes of identity and questions of nature versus nurture. 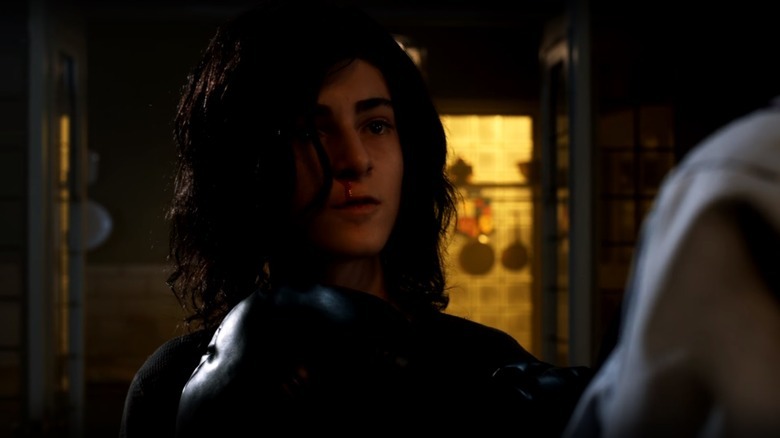 Instead, as the third season of Gotham progressed, 514A proved less and less essential to the ongoing plot, with his motivations remaining murky and unknown. When the character disappeared at the end of season three, he left behind one of the series' most glaring dangling plot threads. The show did establish that 514A was beginning to physically deteriorate, suffering from nosebleeds and evidently doomed to a short life span as a result of whatever experiment brought him to life. However, this doesn't justify the open-ended nature of his story. We still don't know where he came from, and the best case scenario is that he might have died off-screen. It's always possible he could come back — maybe he can finally explain why he's here. This smell off to you? On a number of occasions, the grown-up Ivy Pepper made use of a mind-controlling perfume to put unwitting men under her control. While not directly controlling the minds of her victims, the toxin made them extremely susceptible to suggestion, powerless to do anything but her bidding. Ivy's toxin was strong enough to work on men as seemingly incorruptible as Alfred Pennyworth. With a few well-placed connections, Ivy would be able to do some major damage to the city, through either well-targeted manipulation or total brute force. For a good while during the series' third season, it seemed as though this act of mass manipulation would come to pass. When Ivy helped Oswald Cobblepot survive after his near-fatal encounter with Edward Nygma, the odd couple teamed up to help Oswald get his revenge. During a nasty encounter with Oswald's former bodyguard Gabe and a band of henchmen, Ivy used her perfume to take control of one of Gabe's men, convincing him to kill his allies on their behalf. After making their brutal escape, finally bonding over their shared status as outcasts, Oswald teams up with Ivy officially, determined to use her remarkable powers to create a whole "army of freaks." Bizarrely, this just… doesn't happen. Even though they both have means, motive, and opportunity to put the plan into effect, Ivy goes off and learns to talk to plants, and the duo's partnership dissolves without even an attempt to make this mind-controlled army a real thing. 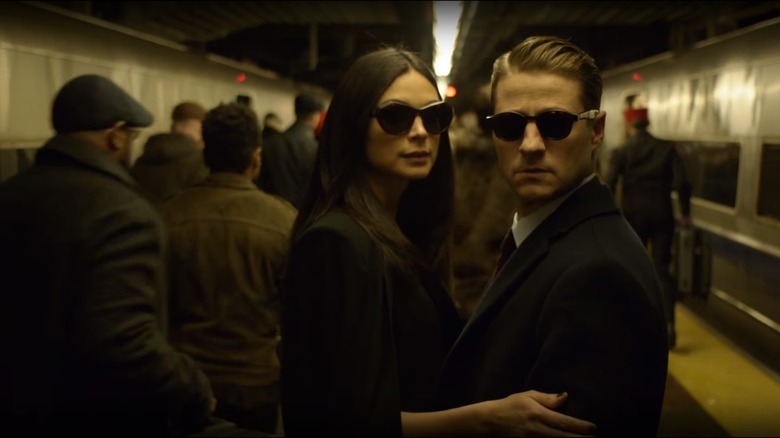 If anyone in Gotham City needs to face justice, it's got to be Jim Gordon himself, for the high crime of being a truly terrible boyfriend on just about every possible occasion. His engagement to Gotham City medical examiner Lee Thompkins, for instance, ended in multiple fatalities, with Gordon ultimately shooting Lee's new husband to death right in front of her. Jim had his reasons, of course, but considering that Lee was standing close enough to her husband to get his blood sprayed across her face while her ex-boyfriend murdered him, you can't really fault her for taking the whole thing poorly. Lee sought out revenge on Jim by giving the thumbs-up to a plan by mob boss Carmine Falcone to have Jim killed, but had a change of heart before the kill could be carried out. She called off the hit, and the show moved on. Except… there was really no reason for Falcone, who ordered the hit, to go along with calling it off. Falcone wasn't making the hit on behalf of Lee, remember. He has his own grudge against Gordon, and later said in the season that he would have killed Gordon if he could. What's stopping him? Lee's roadblock ends up being just a contrivance to keep Gordon out of the crosshairs — if Falcone wanted Gordon dead, there's no reason why he wouldn't make it happen. It says something about Gotham that not one but two mysterious doppelgängers have entered and left the narrative without much in the way of explanation. But where Bruce's clone had a backstory and no ending, this second mysterious lookalike had even less going for her. You probably already know who we're talking about — just who or what in this mad city was Isabella, anyway? Portrayed by actress Chelsea Spack, Isabella was introduced to the narrative during the middle of season three. 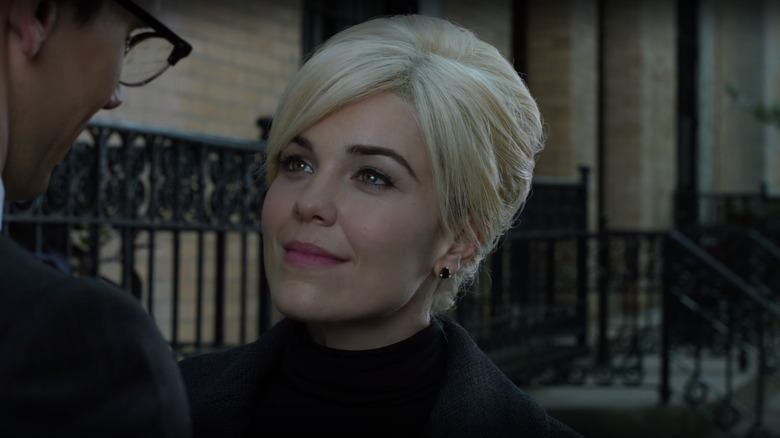 An encounter with Edward Nygma leaves the future Riddler struck by Isabella's resemblance to Kristen Kringle, Nygma's former girlfriend, whom he killed. With Kris also having been portrayed by Chelsea Spack, clearly something big was going on here in the plot. Or was it? Isabella's arc made sense in theory, coinciding with the arrival of clone Bruce at a time in the story when a number of villains could have had the ability to make convincing doubles. But the truth of Isabella's identity wasn't pursued, and when the character died after only three episodes, so did the mystery. Like Oswald and Ivy's never-developed army of mind-controlled freaks, this is another example of a bad villain getting big powers and then neglecting to ever use them, no matter how much they would come in handy. 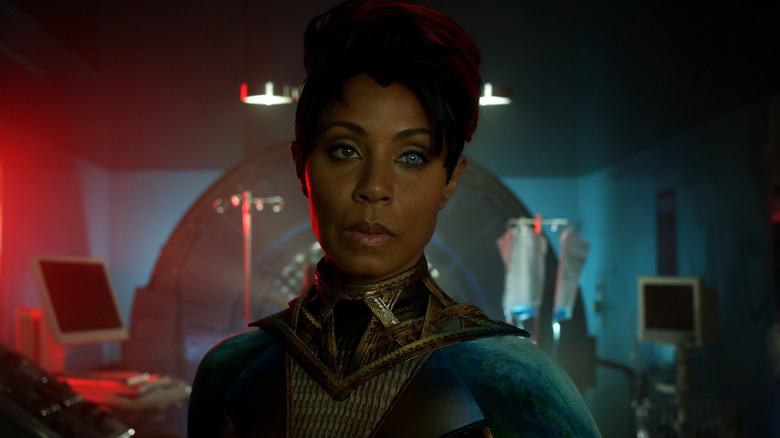 Fish Mooney is one of the many villains in Gotham City for whom death was merely an inconvenience — at least the first time. When Oswald hurled his abusive boss off the edge of a warehouse at the end of the show's first season, it seemed to cap off an origin story of villainy for the once-and-future Penguin. Of course, some Frankenstein stuff went down in season two went on to make that arc a little bit more complicated. When the crime boss was revived in the second season of the series, she came back wrong, but also new and improved, sporting a surprising set of psychic powers. Much like Ivy, Mooney was capable of influencing others to do her bidding. Unlike Ivy, she did this via direct mind control, a skill the controlling villainess relished. Mooney's powers came with one catch — using them steadily weakened her, degenerating her cells. That built-in excuse would have been a good way to briefly power up the character before returning her to a status quo, but the show went further, soon curing her of the degeneration. The show never said the cure took away her powers, so she should have returned to full strength, right? Instead, Mooney never used her formidable mind powers again. This one is less of a plot hole and more of a baffling character trait. Put simply, Jim Gordon has a habit of apprehending criminals and just… letting them go, allowing them to leave with little explicit justification. It's maddening to watch a character you think you know as their motivations mutate, for no clear reason, in real-time — especially when it leads him to let people who actively want to kill him walk free for what comes across as little more than the sake of the show's continuation. The worst case involves the cold-eyed killer Victor Zsasz, who has made his wishes to kill Gordon explicitly clear over the course of his time on the show. In the first season, Zsasz went to the extreme lengths of invading the Gotham City Police Department to take Gordon prisoner, ultimately shooting up the city and murdering a police officer in the process of trying to capture him. This is the sort of mayhem that would get you on the FBI's most wanted list, but it becomes water under the bridge quite quickly. Later, when Gordon gets an opportunity to capture or kill Zsasz, he doesn't take it, letting a man who actively tried to murder him (and successfully killed a colleague) live to face another day. For no particularly justifiable reason, Gordon selectively does his job. Gordon's not the only one to come across as arbitrary in his decision making when deciding who gets to live or die. When you think about it, Edward Nygma really shouldn't still be alive. We don't just mean this because he's a horrible person, an absolute emotional terrorist who abused one girlfriend to death and then came within moments of doing just about doing the exact same thing to his next one. Our bafflement at his continuing existence has nothing to do with his personality, and everything to do with the murky motivations of the mysterious Court of Owls. 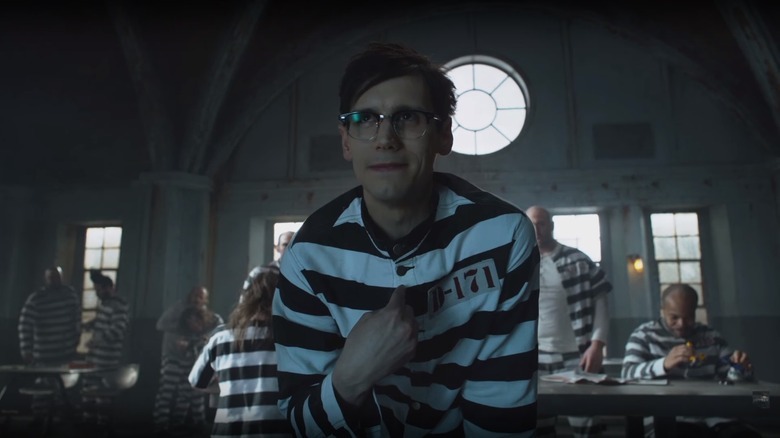 When Nygma is captured by the Court in the third season, he's kept alive as a prisoner for mysterious reasons, managing to survive long enough to make an escape. The Court was explicitly described as having big plans for the Riddler — a long game that would justify keeping the villain alive instead of executing him outright for his repeated conflicts with the mysterious organization. Whatever these plans were meant to be remains a mystery. In a way, the Court of Owls is at the center of many of Gotham's more frayed plot threads. In trying to keep the group mysterious, the show has also inhibited them from ever making too much sense. Everyone age five to 105 knows that Bruce Wayne grows up to take on the identity of the Batman. He's afraid of them or whatever; he wants to strike fear in his enemies and whatnot. The character's been around in pop culture for so long that his origin story is a known quantity. 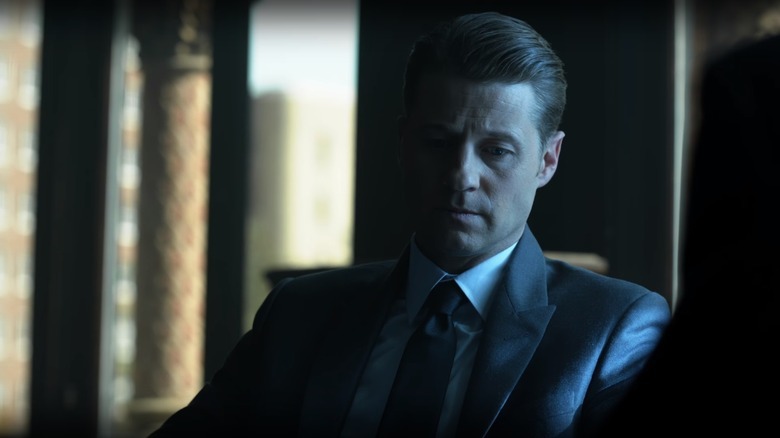 Despite (or perhaps because of) how well known Bruce's fate is, Gotham has managed to stumble a little bit in putting all the pieces together. 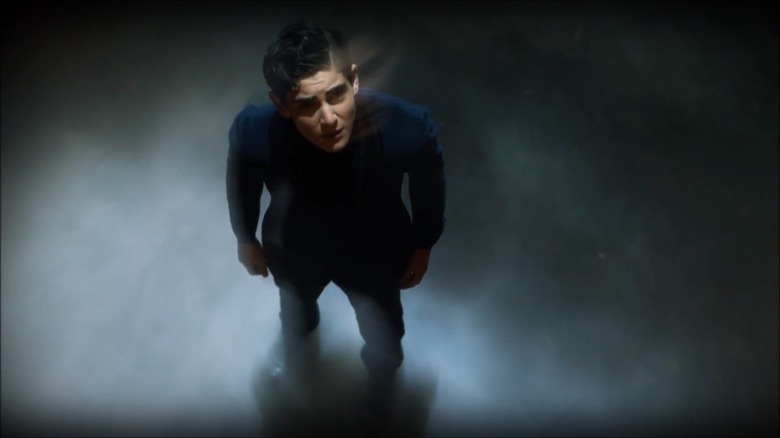 During a season four dream sequence, Bruce experienced a sort of visitation from his vigilante future self, encountering the silhouette of Batman looming up above him in the alley where his parents were killed. It was a cool scene, thematically and visually — but does it really make any sense? We all know that Bruce develops a fixation with bats when he comes to start his crimefighting, but there's really no justification as to why he's down with bats in the show. Usually, there's a character-driven reason why he chooses the animal to represent him; on the show, it just sort of happens. For this to truly be a big character moment, we would have to be able to relate his eventual adopting of the Batman mantle to something clearer from his past. Instead, it's a plot hole that destroys internal consistency; at best, the dramatic moment is muddled. It all begs the question: Why bats, man?